As we reported at Policy Watch in August, members of the State Board of Education (SBE) and their Charter School Advisory Board aren’t seeing eye to eye these days. Case in point: Several charter board members and charter advocates expressed outrage after SBE members turned down a slate of prospective new charters this summer, citing inadequate academic planning and typos in at least one case, despite recommendations for approval by the charter board. At least one charter board member even referred to members of the SBE as “soulless SOBs” in a Policy Watch report after that vote, a comment for which he later apologized. 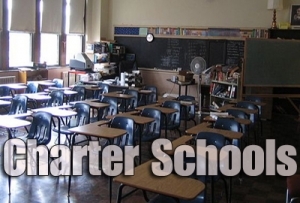 On Thursday, members of the charter board, which is appointed by the legislature, Gov. Pat McCrory and Lt. Gov. Dan Forest, signaled their intent to push for changes in the application process. Charter board members, some of whom work for charter schools themselves, complained that prospective schools were blindsided by their rejections at the SBE level after receiving a warmer welcome from the charter board. Generally, “consent agenda” meeting items are considered to be non-controversial and may be passed with one vote, rather than requiring a case-by-case vote. Of course, SBE members would have to sign off on the policy too. No charter critics spoke Thursday, but such an approach is likely to anger some who would say the proposal is intended to circumvent or ease the vetting process for schools. We’ll continue to follow this discussion as it develops.